Home england football holt Grant Holt for England? After England’s two top strikers pulled out of the friendly match against Holland, it provides a great chance for someone to step up and put forward their case for a place in the opening match of Euro 2012. There appears to be an emphasis on youth in Pearce’s selections up front though. Daniel Sturridge, Frazier Campbell and Danny Welbeck are all relatively young and have shown plenty of promise this season. However, one obvious candidate appears to have been overlooked. 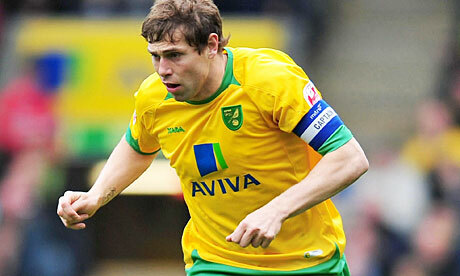 Grant Holt is currently the joint second highest scoring Englishman in the Premiership, behind only Wayne Rooney. With 10 goals in his first season in the top flight, he has continued his good run of scoring from the past few seasons. He scored 20 goals in 2008/09 as he led Shrewsbury to the playoff final in League 2, before moving to Norwich for around £400k. He hit 24 goals in 2009/10 as Paul Lambert’s Norwich clinched promotion from League 1 and dispelled doubts about his ability at a higher level by scoring 21 goals as they made it successive promotions. Many of his critics have labelled him as simply a big man up front, with little skill or ability. However, he brings much more to the table. Goals against Chelsea, Manchester United and Liverpool have shown that he has the talent to cause problems for some of the best defenders in the country. Admittedly, at 30-years old, he is not one for the future. However, he has proven that he can score goals at every level of the English game. Having started his career at Workington Reds as a defender, he has battled his way up through the divisions to reach the Premiership, where he can now boast that he has outscored the likes of Fernando Torres, Luis Suarez, Andy Carroll, Darren Bent and Dimitar Berbatov. He may also point out that he has scored more goals than any other player in the England squad. The other key point is that he would add something that the other strikers do not. As good as Welbeck, Sturridge and Campbell may be, they are all very similar players – small and quick. Grant Holt is the opposite of this. He is big and strong, he covers a lot of ground and he causes opposition defenders all sorts of problems. Before last weekend’s match, Manchester United’s Jonny Evans admitted that he was expecting a tough time against Holt. He is likely to provide a different threat for continental defences, who are generally more used to dealing with less physical, more skilful players. Either way, he deserves a chance to show what he can do, whether it be in training sessions or in the match against Holland. It would also send a great message to players lower down the pyramid that if they are good enough, they can make it all the way to the top. However, once again it seems that playing well for unfashionable clubs is not enough to gain international recognition. Other than the goalkeepers, Leighton Baines and Frazier Campbell are the only two players playing outside the top seven teams to be in the squad, and Campbell came through at Manchester United. Naturally, the majority of the squad will be playing at the top teams. In-form players in lesser teams should be given the opportunity though. Arguably it is more difficult to get goals or create chances in a weaker side. Ten goals is a very good return in your first season in the top flight. 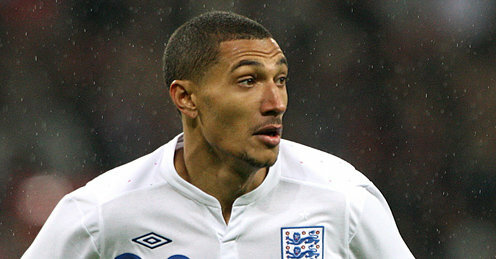 Jay Bothroyd was given the chance last season, despite scoring fewer goals than Holt. He may not be the most aesthetically pleasing of player. He may not have a fancy name or play for one of the biggest clubs. However, he has proven that he can score goals and trouble the top defences. That should be enough to win him the opportunity to prove that he can make his mark on the international level.